During my first morning's visit, Mayor Costiuc invited me to come back to the village that evening to speak with the young people. I told her that I would enjoy this, but I had other committments and couldn't say exactly when I would arrive. She said it didn't matter and that they would all wait for me. My evening was very full as I visited other areas of need and due to the late time, I almost had to phone the mayor to say I couldn't come due to the time. But I felt committed to attend. 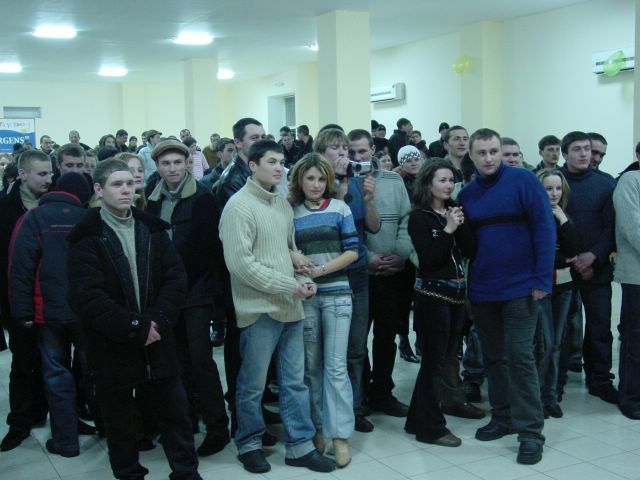 You can't imagine my shock when I arrived to find literally hundreds of young people there, patiently waiting for me! They were happily chatting, but they had refused to leave in the hopes of getting to talk about their village and their needs. The children reminded me of the strengths I rely upon so often when I face sights that touch me to the depths of my soul. Sometimes my faith becomes tested, but I never lose hope. It is that "Hope" that drives me and, quite admittedly, saves me at times. And the children here that evening all demonstrated their hope that I would come and listen.